Are you reminiscing about your past years spend within the BWCA? Maybe that’s not an option for you anymore…that is still no reason to keep you out of Ely, the Superior National Forest and the Boundary Waters Canoe Area. Instead of trekking out into the wilderness, like years past…stay in a comfortable cabin feet from a lake with a constant view of Ely’s beauty and your boat ready for some trophy-sized fish to challenge. Have all the comforts of home and all the beauty of the northland when you rent one or our Ely lakeside cabins. You already took nature on her terms, it’s time to reverse the scenario for a different perspective and experiences. Our lake cabins are full of comfort, from our memory foam mattresses to air conditioning and amazing WiFi connection to bottle openers, dishes, pots, pans, even a crock pot…the entire cabin is stocked in and out, all you need is towels and food, the coffee and charcoal grill are waiting on you now. 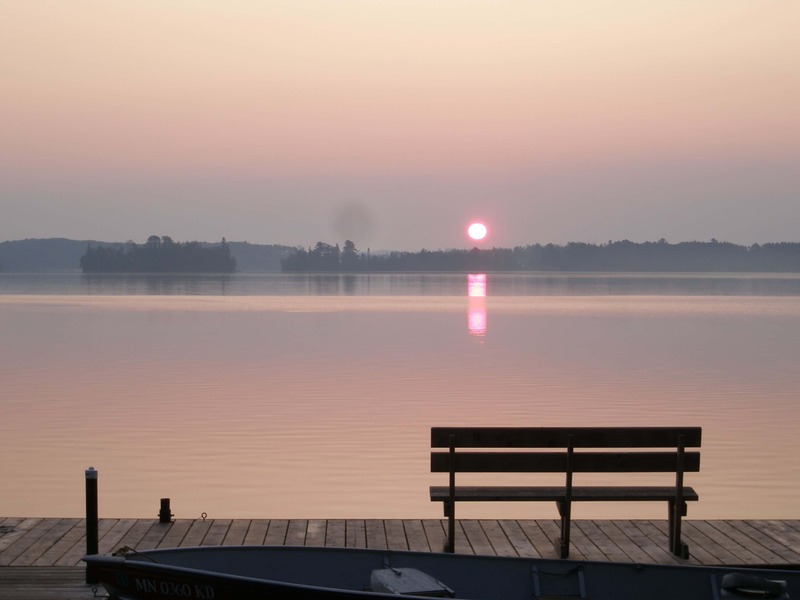 While you stay at our lakeside Ely cabin rentals you have the options to enjoy a Guided and Outfitted Day trip in the BWCA or just sit on the dock and listen to the call of a loon. Your options while staying at Moose Track Adventures are vast. From what’s happening in the town of Ely to Hiking Trails, Restaurant Favorites, Local Fishing Spots, BWCA History, Maps and soo much more. When you rent Lake Cabins on Farm Lake with Moose Track Adventures you’re getting more than just a cabin and the view, you’re getting an invaluable resource that can help you fill your vacation planner with the best of this area. Or allow you to enjoy your relaxing stay in Ely with peace and privacy. 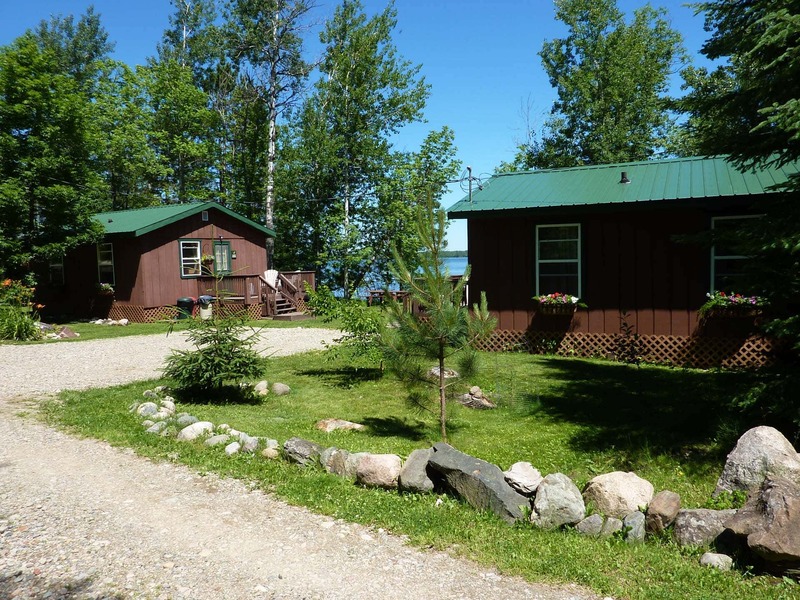 Not only are you just feet from Farm Lake when you rent our 2 bedroom cabins but you will be near the Farm Lake Boundary Waters Entry Point #31. Right off your dock, we offer tows to the entry point or you can adventure there yourself for the day or however long you decide. When you call and book your cabin stay, if you are interested in entering the Boundary Waters, please bring it up to us. We can ensure permits are available, reserve your dates and have them waiting are ready for you at our lodge. Don’t make any more stops than you have to with our help and be sure you haven’t overlooked any aspects of your BWCA vacation. Call us for more info or to reserve your dates 218-365-4106.